This is the last post for the Letters of Love Blogathon (LOL-a-thon). 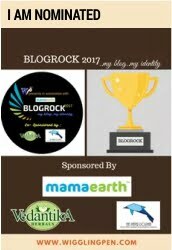 It was an absolute pleasure to organize and host this wonderful blogathon in which 27 cool bloggers got a chance to write their heart out. The prompt for today’s post is ‘A Letter To Your Beloved’. Here is my letter addressed to my darling husband. This is the second time I am writing you a letter. It’s funny that when I wrote the first piece almost 9 years back, I had so much to say. And now when I sit to write this second one I am struggling with words. You would wonder how much we have changed in the past few years. We have spent nearly a decade of our life knowing each other and in these past ten years we have literally grown up together. We both are quite opposite personalities. I am an overtly emotional girl who loves to live with the memories of the past. You are a practical guy who is always focused to plan the future. Our interests and hobbies are so different. (That’s precisely why we cannot watch a single television show together). When it comes to choices we are two extremes and it’s tough to find a common ground between us. (That’s why we often order a different menu in the restaurant). Our likings are varied. You don’t like going out on weekends and I don’t want to sit at home. You prefer watching a cricket documentary and I like stick to my good old romantic comedy. It’s strange that we are different yet always together. We argue, we fight but we never try to change each other or change for each other. We have accepted each other with all the differences and that’s precisely what keeps our relationship going. In these past years our life has changed manifold. From being college lovers to being a couple to being parents – we have come a long way. From imagining romantic dates, to planning a future with kids, to now discussing about investments and insurance – our topics of conversation have totally changed. But there is something that hasn’t changed much. And that is the ‘tuning’ that we have shared from the start. Like before, we still can read each other’s mind. Even before we say something, we know what the other person is going to say. Our eyes still communicate more than our words and we exactly know what’s going on in each other’s heart. This tuning connected us and made us comfortable with each other. And it seems to have grown stronger in the past years. That’s precisely the reason why I never felt the need to write a second letter to you before. Because our communication is far beyond the written words. And I hope my darling husband, that this special tuning of ours stays fresh even when we grow old. With aging memory and frail voice, we may not be able be to speak much, but let our eyes continue to do its magic. We may walk feeble steps with sticks in one hand, but let our second hands be tightly wrapped around each other, supporting and giving each other that required strength to continue on the walk of life. This post is a part of LOL-a-thon hosted by The Momsteins. I would like to thank Chaitali for introducing me to this chain. Do read her post on her blog ChaitalisMusings. 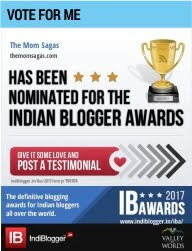 I would also like to introduce Dr. Priyanka who writes on MommynShanaya. Hop on to her blog to read her awesome post on the similar prompt. What is that one thing that you would like to say to your darling husband? Share with us in the comments below. Beautifully written. It so good to read how you understand each other without saying anything. That’s love and that’s understanding. Wishing you many more such awesome years of companionship. Let your eyes continue to do the magic. Beautifully written ❤. “With aging memory and frail voice, we may not be able be to speak much, but let our eyes continue to do its magic” This line stole my heart! So beautifully put. Essentials of a succesful relationship is communication and love. Wow..Such a heartfelt and beautiful letter.. Understanding the emotions without even saying a word.. Isn’t that the beauty of being in love? Such a hart warming letter. Even I don’t remember when was the last time I wrote one for my husband, I am definitley jotting down one soon. There’s always so much to be grateful about the man in our life. However I rarely get the time show it. Maybe I need to write a letter similar to how you have penned down your thoughts. I loved this post and it’s how you spoke from the heart.